Exactly what I wanted!This product came exactly as I expected, shipped way faster than I expected, and looked so beautiful. Definitely worth the money! Beautiful save the date magnetsWe absolutely love our save the date magnets from New and Blue! They are amazing quality and came quickly and flawlessly. Wow!I'm impressed. 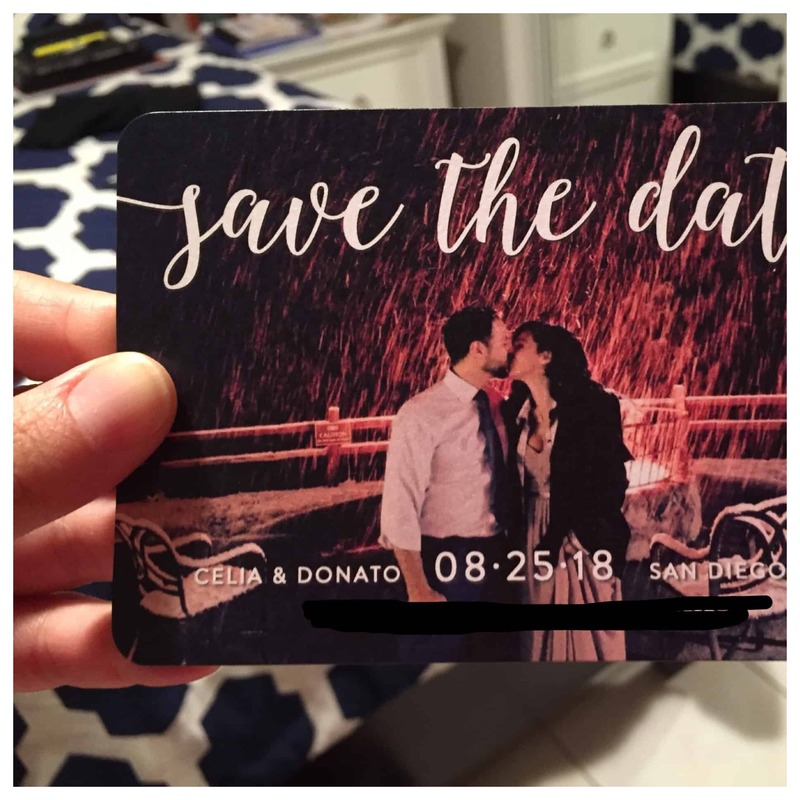 The save the date magnets are high-quality and a fraction of the price that I saw on some other websites. The addressing was perfect. They were at my door in less than a week! I highly recommend New and Blue. Very Happy!I was extremely pleased by our save the dates. They were exactly as shown in the proofs and the quality was great. The customer service from the team was fantastic as well. The designers are very committed to ensuring that the final product looks perfect before the order is printed. Erin and her team were very responsive throughout the delivery process and made sure that we received our package no matter what. I highly recommend!! Very pleased!Very happy with our save the dates! The New and Blue team was soooo helpful with questions that I had along the way and my magnets couldn't have turned out any better! Happy with our magnetsI'm glad that I found New & Blue during my search for affordable save the date magnets. I appreciated that I was able to receive a free sample prior to placing my order. The designers are easy to work with as they want the design to be perfect before the order is processed. Once the design was finalized and approved by me, it only took a few days for me to receive my magnets. The quality of the magnets were great! Very pleased with the very affordable price point, quality, and turnaround time! MeganI ordered a preview to see the quality of the magnet and once our engagement pictures come back, we will be using New and Blue for our Save the Dates! Even better than the proof showed. Best Quality, Great PriceI am so pleased with my Save the Dates. 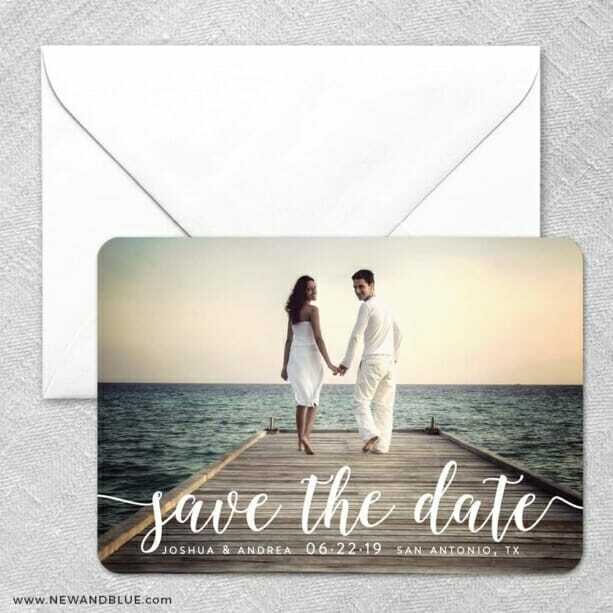 The site made it so easy to upload my image and customize my text options and positioning on the Save the Date. I was even able to easily add an additional text line to add my wedding website link. I just received my Save the Dates in the mail a couple of days ago and the quality is so great. The magnet is strong and sturdy. And above all else, the price per piece was incredibly affordable. Thank you for your amazing service and products. PERFECT!My save the dates came out exactly how I wanted and I could not be happier! Highly recommend!! Absolutely AwesomeMy Save the Dates came out exactly how they were shown on the proofs. At the last minute I decided to make a small change and New and Blue did it the next day with no problem. Best customer I've had in a very long time! I highly recommend.